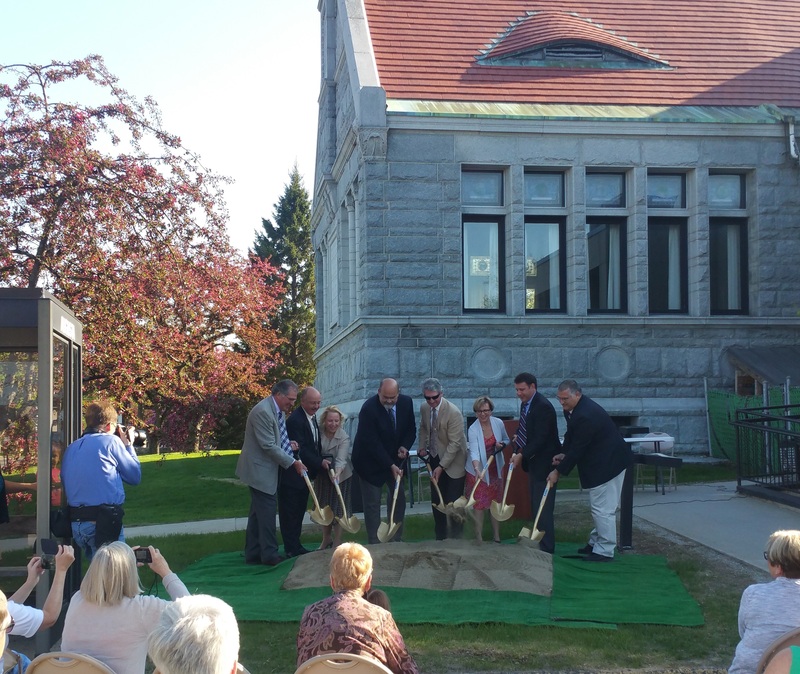 The Thayer Center for Health on North Street is undergoing a $16 million renovation project that will include moving some MaineGeneral Health operations in other areas of the city and Fairfield to the building. 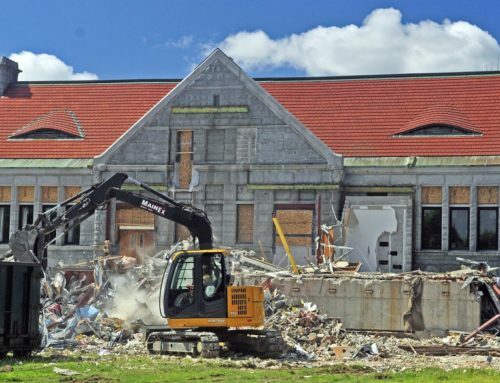 WATERVILLE — The $16 million Thayer Center for Health renovation, which includes moving some MaineGeneral Health operations from other areas of the city and Fairfield to the building, is underway. 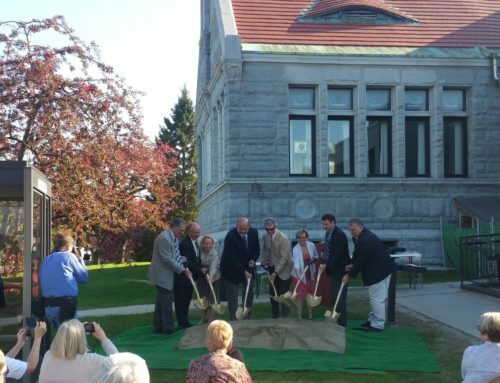 “We’re just thrilled and I think once the Waterville community sees the renovations that they’re just going to be blown away with all the services being aligned,” said Chuck Hays, president and chief executive officer of MaineGeneral Medical Center. 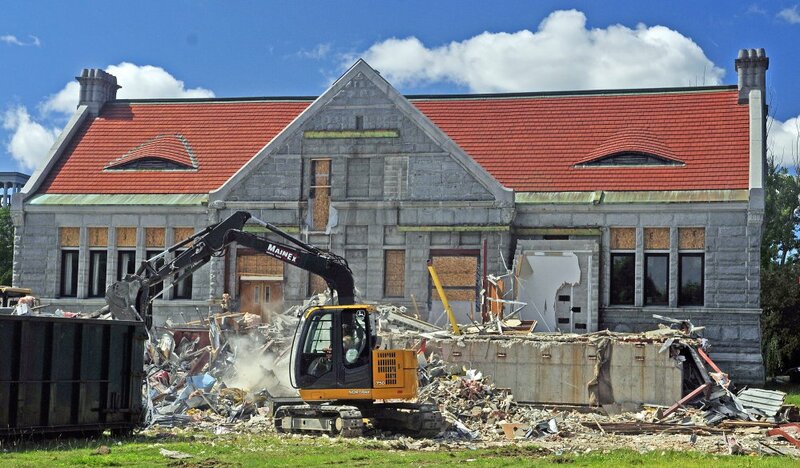 The renovation project is expected to be completed in the fall of 2014 and will result in what MaineGeneral officials are calling the most comprehensive outpatient center in Maine. 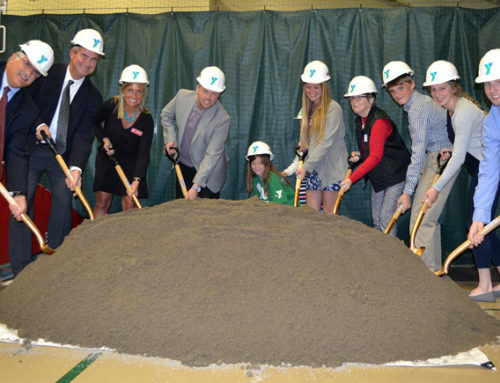 The Thayer project follows construction of the $312 million Alfond Center for Health in Augusta, which earlier this month took patients from the Thayer hospital. The move marked the end of admitting patients for overnight stays at Thayer. When Hays started at MaineGeneral 18 years ago, the inpatient to outpatient ratio was 60-40, now that number is reversed, from 40 percent inpatient to more than 60 percent outpatient. “The change in technology is moving that way,” Hays said. He said gall bladder surgery, for instance, used to mean an overnight stay, but now it is done as outpatient surgery. The 250,000-square-foot Thayer building has four floors and a basement that will be fully occupied once renovations and relocations are complete, according to both Hays and Paul Stein, MaineGeneral’s chief operating officer. “The interesting thing is, we’re actually going to have more patients than we had in the past,” Hays said. An important feature of the renovated space is that services will be located with like services, with physicians’ offices situated near services they provide, according to Hays. Gastroenterologists, or doctors who specialize in the digestive system and its disorders, will be in the same area as endoscopy services, a department where colonoscopies and related examinations are performed. 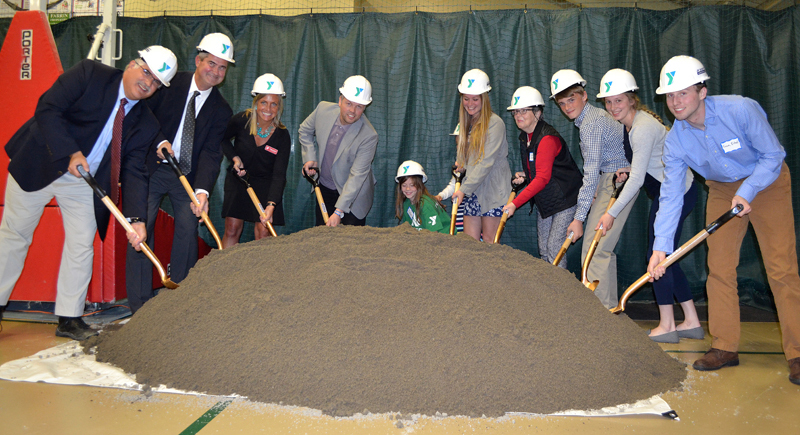 “We’re hoping that we’re really providing some ease of access for the community, much like we did at the Alfond Center for Health,” he said. Meanwhile, Inland Hospital, which is part of Eastern Maine Medical Center in Bangor, continues to take inpatients at its facility on Kennedy Memorial Drive. Thayer will continue to operate a 24-hour emergency department, with an entrance off North Street. A $3.6 million renovation was completed in February 2007. Patients who come to the emergency room and require hospital admission will be taken by ambulance, if necessary, to the Alfond Center for Health — an approximate 20-minute trip south on Interstate 95. Free van service is also available daily to take patients from Thayer to the new hospital and the next-door Harold Alfond Center for Cancer Care. Other services currently at Thayer include cardiovascular, dialysis, nephrology, volunteer services, imaging, laboratory and endoscopy, all on the first floor; same day surgery on the second floor; and allergy, asthma, pulmonary, cardiac rehabilitation and other services and the cafeteria in the basement. As part of the changes over the next nine months, the Edmund N. Ervin Pediatric Center will move from MaineGeneral’s Seton Campus on Chase Avenue to Thayer’s fourth floor, which formerly housed mental health and substance abuse services. Those services moved to the Alfond Center for Health. The Children’s Advocacy Center of Kennebec and Somerset counties will move from Seton to Thayer’s first floor. The business office, including billing and collections, will move from Seton to the Hathaway Creative Center on Water Street. MaineGeneral’s HomeCare & Hospice, human resources and behavioral health departments are already housed at Hathaway. In June, MaineGeneral sold the Seton building to Dirigo Capital Advisors LLC and has a lease for the building through next October, according to Hays. Dirigo has not yet announced its plans for that building, which is 50 years old. Maine Dartmouth Family Practice will move from 4 Sheridan Drive in Fairfield to Thayer’s second floor, which formerly housed inpatients, including critical care patients. Maine Dartmouth Collaborative Care Center, now at Seton, also will move there. The same-day surgery department on Thayer’s second floor will get a facelift, according to Nicole McSweeney, MaineGeneral’s director of marketing and communications. Meanwhile, occupational, physical and speech therapy, as well as audiology and phototherapy, will move from Seton to Thayer’s third floor, which formerly housed maternal child health and the labor and delivery departments, as well as the joint replacement center, McSweeney said. Workplace health also will move to that floor from Seton, she said. McSweeney and Buffy Higgins, Thayer’s director of operations, led a tour of Thayer Thursday afternoon, explaining that the main entrance on the east side of the building will become the entrance to cardiology and dialysis services. The new main entrance will be n the building’s east side. The main entrance and its configuration to the parking lot also will change to allow easier access for patients and visitors, as well as smoother traffic flow, according to both McSweeney and Higgins. Currently, visitors must descend stairs from the parking lot to enter the building; with the changes, the grade from the parking lot to the new entrance will be leveled off and the main entrance increased in size to accommodate two vehicles instead of one. Also, a canopy will be built over the entrance. The entrance also will be enlarged inside the building to include a registration and reception area with greeters, but the endoscopy and imaging services will stay in that area, McSweeney said. The parking lot will increase from 821 to 882 spaces, she said. Services currently housed in leased space at 325 Kennedy Memorial Drive, including gastroenterology, neurology, and ear, nose and throat, will move to Thayer, according to Hays. But MaineGeneral will stay at FirstPark, where it has made a significant investment and houses orthopedics, rehabilitation and occupation and physical therapies as well as lab, imagine and women’s health imaging. Elmwood Primary Care, Express Care and MaineGeneral Internal medicine will remain at 211 Main St. in Waterville and Oakland Family Medicine will stay at 9 Pleasant St. in Oakland. The Thayer renovations are being done by J.F. Scott Construction, based in Winthrop. The architect is SMRT Inc., based in Portland. On Thursday, workers were on the first floor in the former coffee shop area, which is serving as a construction staging area. “This will become a waiting area for the medical specialty clinic,” Higgins explained. Construction started Monday and temporary walls were erected around work areas. MaineGeneral officials say the work will not affect patient safety or work flow. The corridor just inside the future new main entrance will be transformed to make the area warm, friendly and welcoming, according to Higgins and McSweeney. When renovations are complete, officials expect Thayer to see 240,000 visitors a year, they said. “The majority of the traffic will be on this ‘main street,’” McSweeney said of the corridor. A light wood veneer will dress up the three elevators on that corridor. Each floor of the hospital will be painted a different color and each floor will have a theme, similar to the design at the new Alfond Center for Health, Higgins said. The first floor will have a river theme, the second floor, forests, the third, mountains and the fourth, sunset and sunrise. The basement will called the terrace. On the second floor, same day surgery continues to be busy. The former medical surgical area referred to as 2 Central was quiet Thursday and the nurse’s station vacant except for some idle equipment and old furniture. Staff who worked there before moving to Augusta left written messages on the nurse’s station wall. The space will be the new home of Maine Dartmouth; MaineGeneral’s Four Seasons Family Practice will remain in Fairfield and expand. Higgins said she is excited about the changes coming at Thayer, where she gave birth to her own children. McSweeney said the changes represent not only a physical transformation, but a cultural one. “We really think of it as a new day,” she said. MaineGeneral officials plan to hold a grand opening, with tours, once construction and relocations are complete next fall.